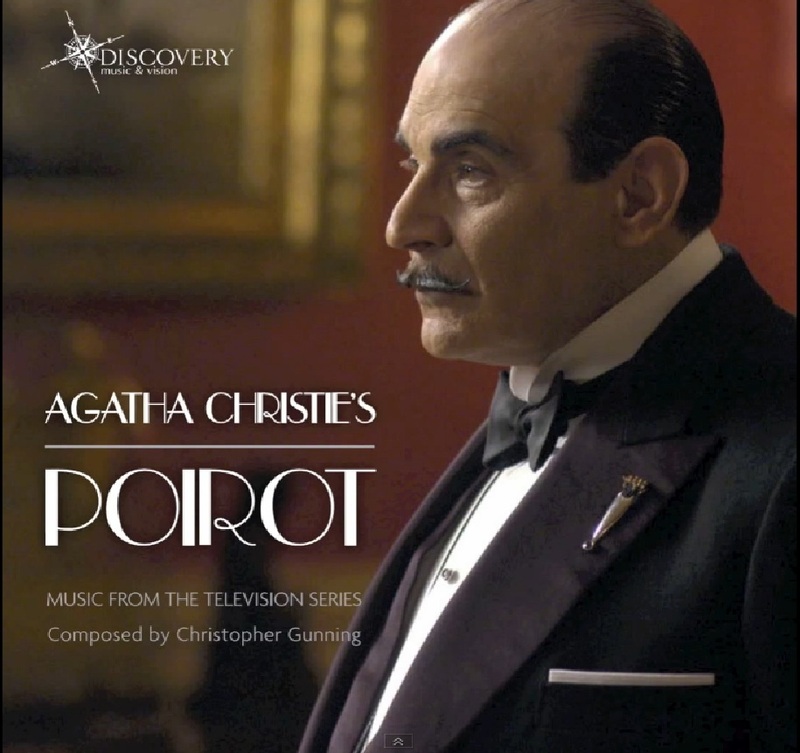 Christopher Gunning with new 'Poirot' CD! © Christopher Gunning / Discovery Music Ltd.
Great news for any fans of the series' soundtrack! Christopher Gunning is releasing a new album with some of his scores for the series. 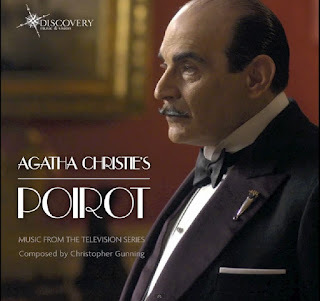 I've written about the music of the series before (see this blog post), and as you may know, a substantial amount of Gunning's Poirot music was released on CD over 20 years ago. However, this CD had gone out of production and become a rare collector's item. With this new release, some of the best scores from that album are re-issued - in addition to three never-previously-released tracks from the adaptations of Death on the Nile and Five Little Pigs.I, for one, am delighted. Read more on Gunning's website, watch a trailer for the album on YouTube or pre-order from Amazon. It is fantastic to finally have an official confirmation from ITV on this (not that David Suchet's Twitter isn't official, but it's nice to see it in a press release). Also, I think it's the first press release since they commissioned the final five in November 2011, so it was about time to get some news (again, Suchet is doing an excellent job with that on his own!). So, The Big Four will reunite the "big four" (Poirot, Hastings, Japp, Lemon). How fitting! I must say this is probably the adaptation I am most excited about for the final series (apart from Curtain). Not because it's a particularly good story, it's absolutely over-the-top, but it can really turn into something special in the transition from novel to adaptation. I won't deny that I am somewhat anxious as to how the absence of the characters will be explained. For one thing, it's been more than ten years in real-world time since they last adapted a story together, and they have (inevitably) aged a bit. And their ageing is more difficult to cover up than Suchet's, both because Poirot is who he is (colouring his hair, the padding etc) and because Suchet seems to have aged less, facially speaking, than the others (no offence). More importantly, though, I really can't fathom how Miss Lemon's presence will be explained! Hastings and Japp is one thing - Hastings comes back from South America, like in the novel, and Japp could still be working at Scotland Yard (though I always assumed he retired). But Miss Lemon just disappeared into thin air after Evil under the Sun, and now that Poirot has moved and refurbished his flat, there's really no room for her. Admittedly, these questions come from a chronology fanatic, so perhaps I'm exaggerating the issues here. In any case, I have complete faith in the screenwriters, Mark Gatiss and Ian Hallard. Gatiss is a competent adaptor of Christie novels (unsurprisingly, given the brilliant Sherlock series). They have undoubtedly worked something out (as Hallard seems to have hinted to on Twitter). Two final points to make here. Firstly, based on the press release and Hallard's answers on Twitter, I'm starting to doubt whether Kika Markham (Countess Rossakoff) will be included. It seems somewhat strange to me not to include her in the press release if she was taking part - not to mention that the brief synopsis only touches upon the challenge of the case at hand, not that Poirot is to be reunited with the love of his life. If I'm right, I hope they include her in Labours. That chapter of Poirot's life needs to see a proper end too. Secondly, I'm delighted to see that they have gone for a WWII/spy angle on this one. Not that surprising, but it does make sense - and would hopefully work well with the rest of the series chronology, since they have slowly (and thankfully) moved beyond 1936 in recent years.